Now these ones are in wrappers but use the Baking Spray instructions below - Just trust me. There is quite a bit going on in Ye Olde Shannon House today. First off, Dan is getting his wisdom teeth out. This means I will need to be his chauffeur and nurse for at least the next 24 hours. My payment of course will be in the always valuable and often times transferable "Dan on Painkillers" anecdotes and getting to watch hours of Simpson cartoons*. I'm also working on our cookbook... GASP! I know. Exciting right? 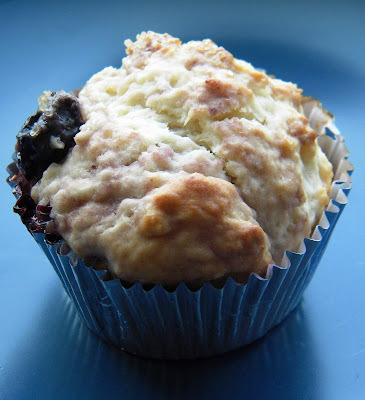 So I'll keep it short and sweet today, these muffins are wonderful. I mean, in the time it took to bake and eat them, they have become one of my very favorite baked goodies. That's saying a lot. I mean in our Pantheon of Baked Treats, these aren't just some demi-god Achilles or Hercules wanna-bes. They are straight up Apollo muffins. You know the kind of muffins you don't take home to mom because you want to keep them all for yourself. That's right these muffins are so good they will make you turn on your own mother. Are you sold yet? Let's make some. The cherries are so juicy - the wrappers can become messy. So please follow the Baking Spray instructions below. Those muffins were eaten before they could be documented. Raw Sugar & Raw Almond Slices to sprinkle over the top. We didn't put any Almonds on ours because when I went to get them - they were really stale. Spray your muffin pan with a light coating of Baking Spray. In a large bowl, combine Flour, Baking Powder, Sugar and Salt with a wire whisk to make sure they are blended. Add Almond Milk, Margarine, Almond Extract and Applesauce and blend with a hand held electric mixer on the lowest speed. Now this Batter is freakin' sticky as the day is long. I mean remember that movie The Blob... it's like that. You have to watch it to make sure it doesn't climb up into your mixer... because it will. Fold in the defrosted Cherries. Fill muffin pan about 3/4 of the way full. Then sprinkle the top with Raw Sugar and a few Raw Almond Slices. Bake for 20 to 25 minutes or until they are golden brown and you can remove a toothpick from the largest muffin cleanly. Not that I'm going to boss you around or anything... but you're going to be tempted to eat these all in one sitting like in an epic Galactus style binge but don't because they are really good with coffee and moist enough to stay fresh a few days. Just trust me. *In case anyone was wondering - Dan is actually doing a great job handling the pain today without too many drugs and has yet to do anything of note. Unless you count when we called himself a "cookie" - a tough one but still - that is not very Dan. 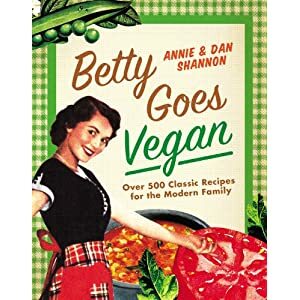 A Cookbook! Yay! Awesome -- very exciting -- congrats and enjoy it -- you guys are great! 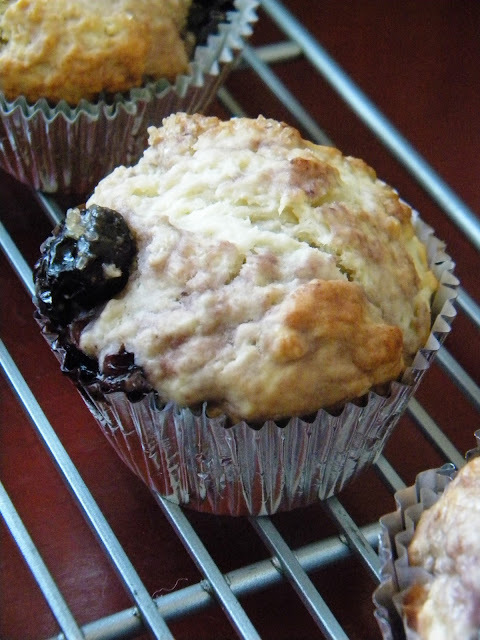 These muffins look great (I love cherries!) and better yet, a cookbook is in the works! Can't wait.